AMD Threadripper is now well and truly accepted across the industry as a serious platform worth supporting even with platform-specific components, and that's given license to manufacturers engaging in rather off-the-wall product ideas. 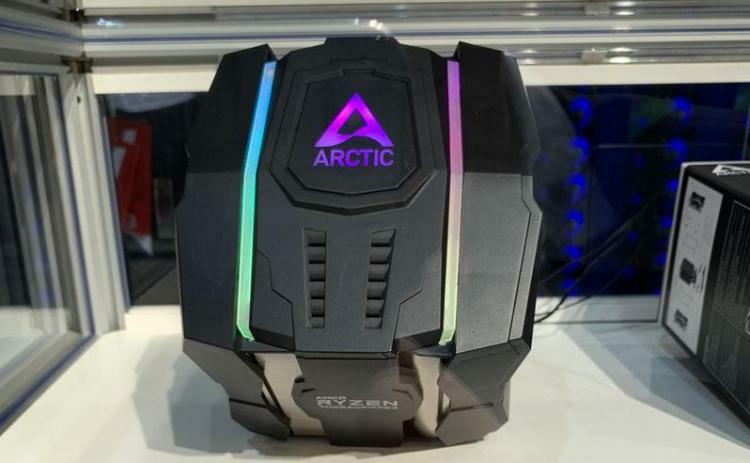 Not the first (and certainly by no means the last) is Arctic, who have recently demonstrated a new cooler prototype specifically for AMD's HEDT CPUs. The Arctic Freezer 50 is a huge CPU air cooler with one major unique selling point: semi-passive operation. In principle their intention is that while the Threadripper CPU is low load it's not necessary that the CPU cooler fans spin, and heat would radiate passively. That's a hell of a requirement, even for a CPU as efficient as Threadripper. Underneath the plastic shroud (with obligatory addressible A-RGB LEDs) sits a high performance dual-tower air cooler, a not-unfamiliar design. Eight heatpipes form a flattened 'direct-touch' surface which sits above the CPU heatspreader, drawing heat up to the aluminium fin stacks. Scale is a little difficult to judge, but if this cooling surface covers the majority of hot zones on a Threadripper heatspreader the entire assembly must be huge (and heavy). It seems fair to assume that the cooler is shipped with at least two 140mm PWM fans, although this cooler style does lend itself to a triple-fan design. Arctic also advertise 'easy installation', although we not sure that has ever been true of a cooler that size. Nonetheless, if our recent experience with the Arctic Freezer 34 is anything to go by, Arctic will be able to take you through the process with a minimum of fuss and bother. The Arctic Freezer 50 TR is still just a prototype, and so even whether it will make it to market is still to be decided. 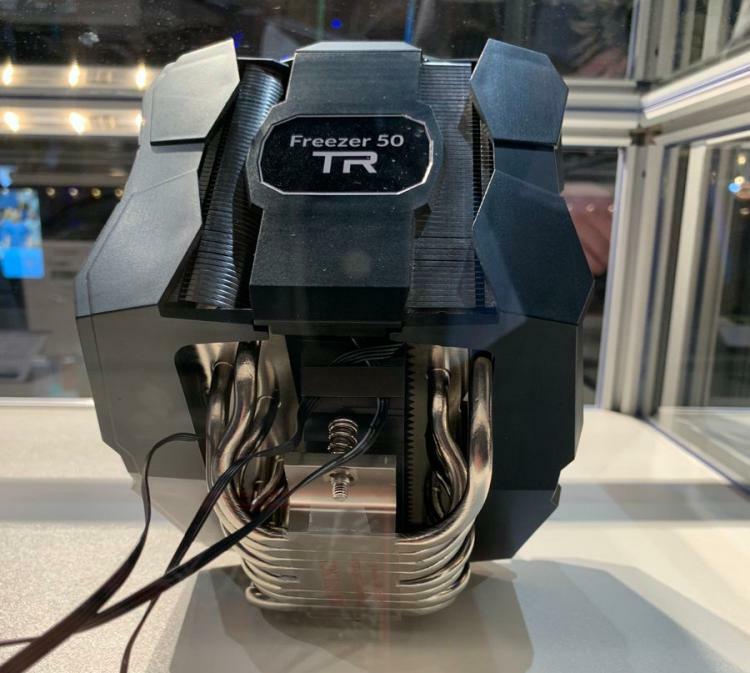 You can also read about the prototype Freezer II Liquid Cooler here.